Bo Bae Song is a young Korean golfer who has played mostly on the Japanese LPGA the past couple years. 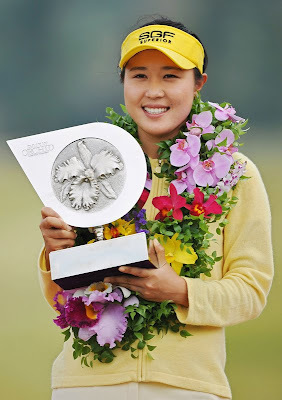 But she can play on the American LPGA in 2010 if she wants to, after winning the Mizuno Classic on Sunday. That victory get Song her tour card for next year.